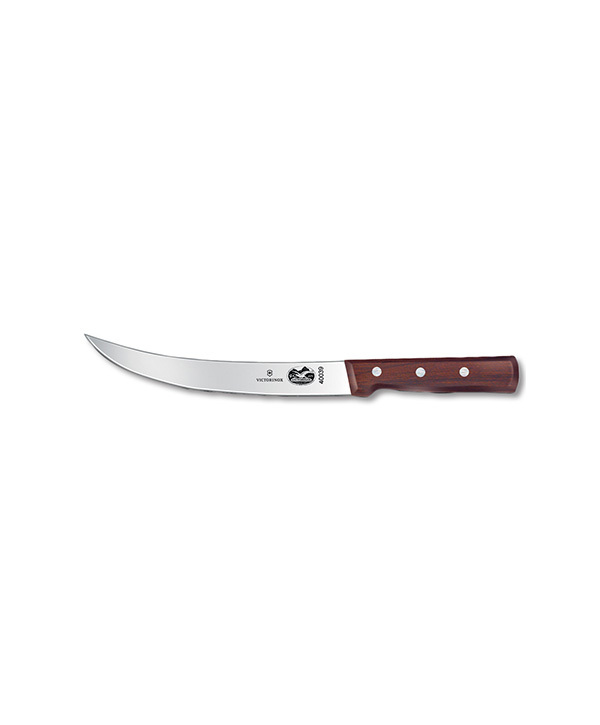 The fillet knife is long and narrow so that it can easily slide under the skin and down the backbone of fish. 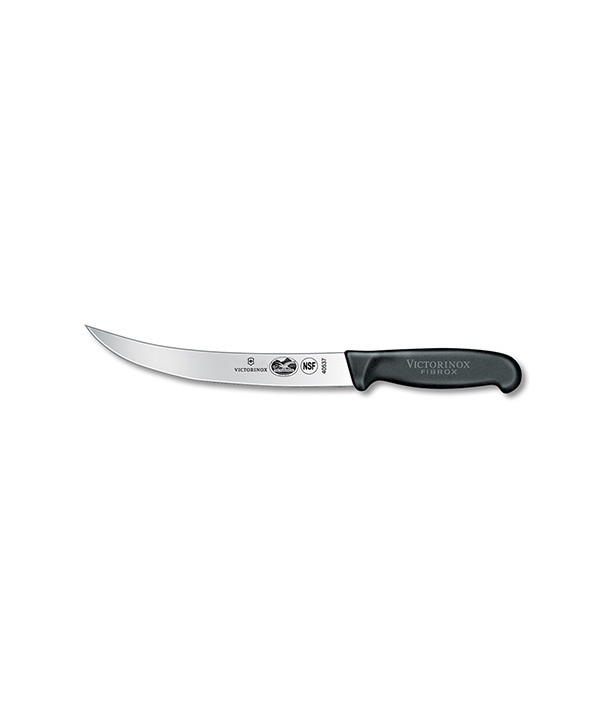 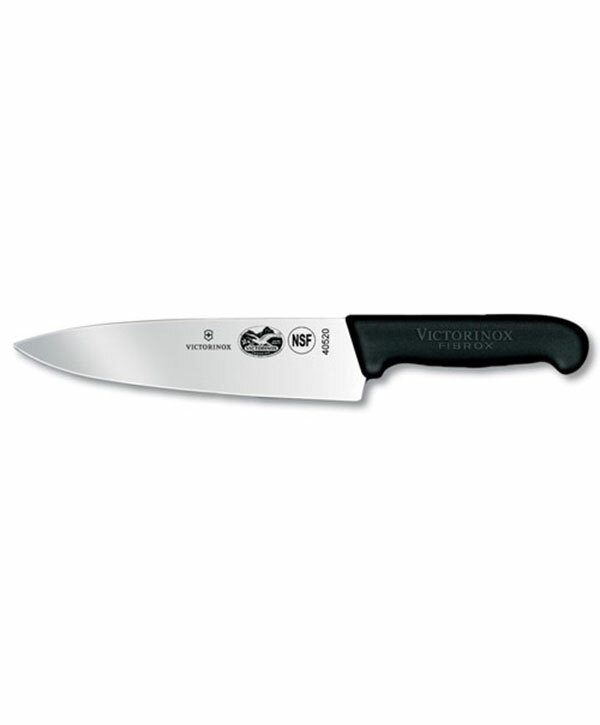 Victorinox’s 7” black Fibrox® fillet knife has a semi-flexible blade and patented handle made from a hygienic polyamide that is textured and slip-resistant when wet. 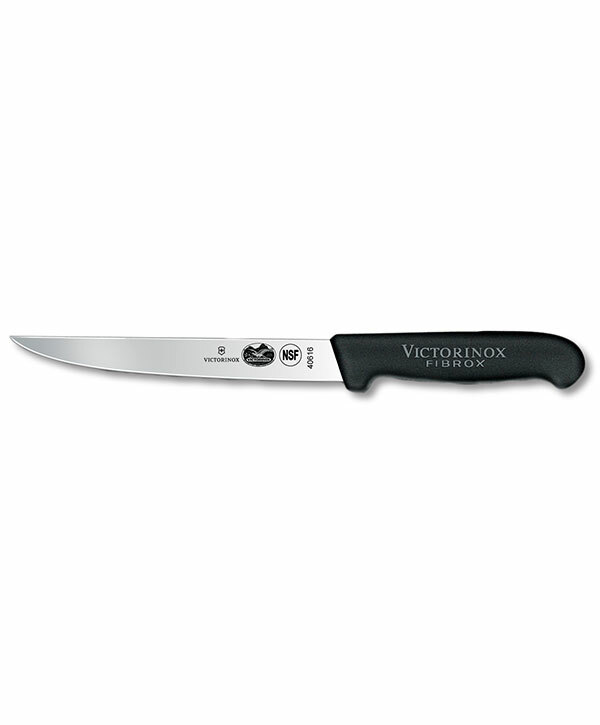 Very similar to the # 41510 and # 40114 except that it has more flexibility in the blade. 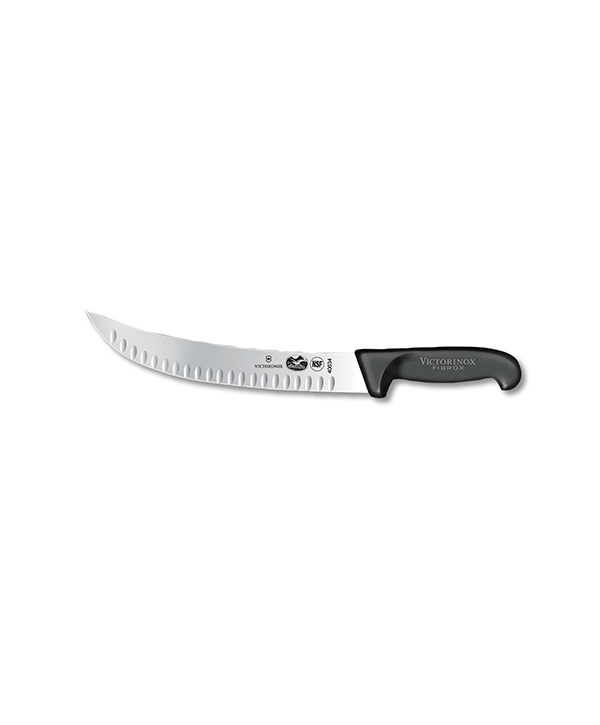 An excellent all-around knife for those who prefer a straight blade.